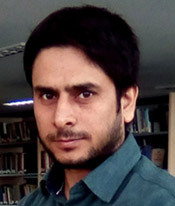 Nazir Ahmad Mir joined IDSA in September 2016. He is with the South Asia Centre. Nazir has a PhD in “Peace and Conflict Resolution” from the Nelson Mandela Centre for Peace and Conflict Resolution, Jamia Millia Islamia, New Delhi. His PhD thesis, titled “Recognition and National Identity Formation in India”, took a theoretical approach to explain the nature of Indian national identity and explored the causes of the rise of nationalist/ethnic conflicts in general. His current research focus is internal politics and foreign policy of Pakistan and Afghanistan. With an interest in ethnic conflicts and recognition theory, nationalism and international conflict, democracy and state making in South Asia, nuclear policies and international relations theory, Nazir has written papers on civil-military relations in India, the State and ethnic conflicts in South Asia in Journal of Civil Wars, Strategic Analysis and India Quarterly. He has presented papers on diverse issues/themes including cultural violence and electoral democracy, the state and secular and religious nationalism, strategic culture and the state, among others. Currently, Nazir is working on two themes: one deals with the national identity formation in India and the other tries to contextualize the securitization theory to the Indian electoral system. He also contributes to some daily newspapers in Jammu and Kashmir such as Rising Kashmir and Greater Kashmir as well as to online magazines on global issues and local social, political, economic, and security issues. Nazir has a Post Graduate Diploma in print journalism from YMCA, New Delhi.